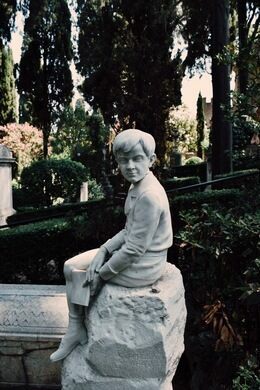 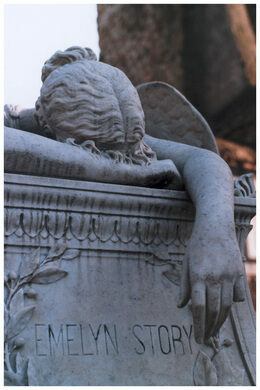 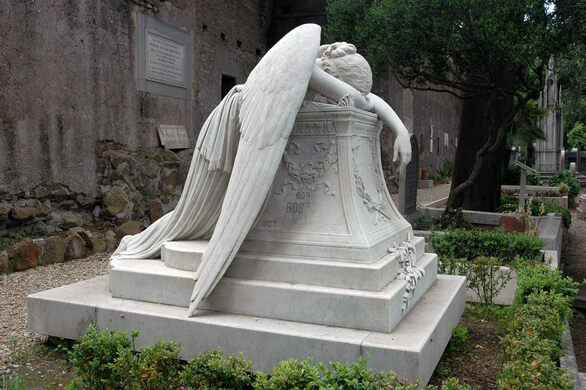 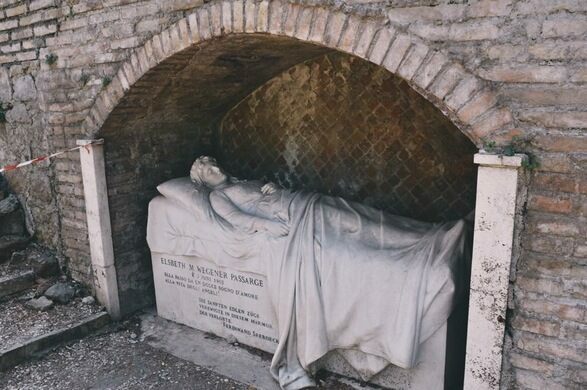 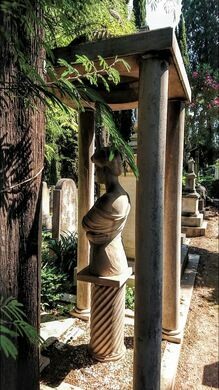 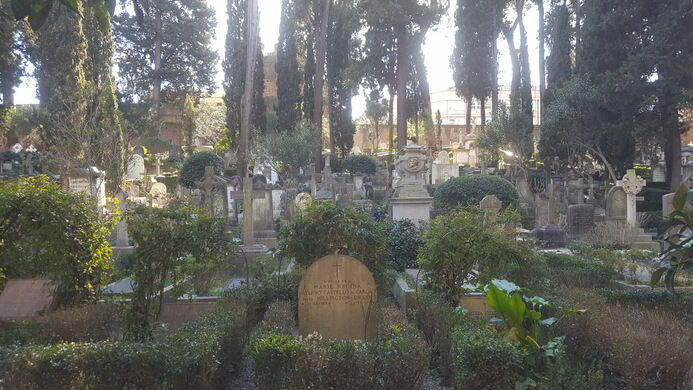 The Protestant Cemetery of Rome, officially known as Cimitero acattolico (Non-Catholic cemetery) – in fact, it also houses several Christian Orthodox graves – and informally as Cimitero degli inglesi (Cemetery of Englishmen) orCimitero degli stranieri (Cemetery of Foreigners), is hidden behind the pyramid of Caius Cestius, in the Roman rione (district) of Testaccio. 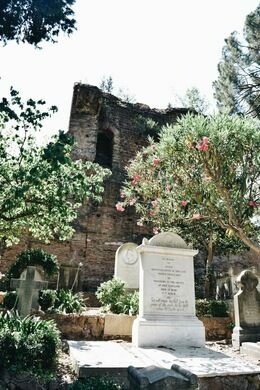 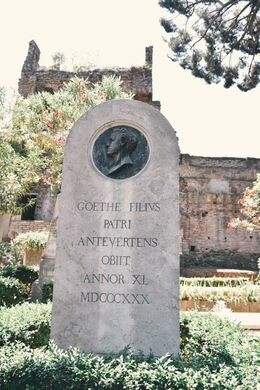 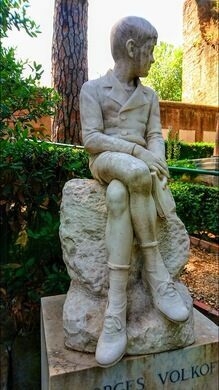 Because Rome has always attracted visitors from all over the world, and many of them have been artists and scholars searching for the signs of Roman history, this ancient, park-like section of the cemetery contains a number of artists’ graves, in particular those of the great Romantic poets John Keats and Percy Bysshe Shelley. 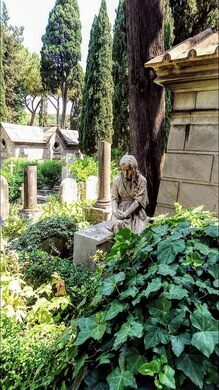 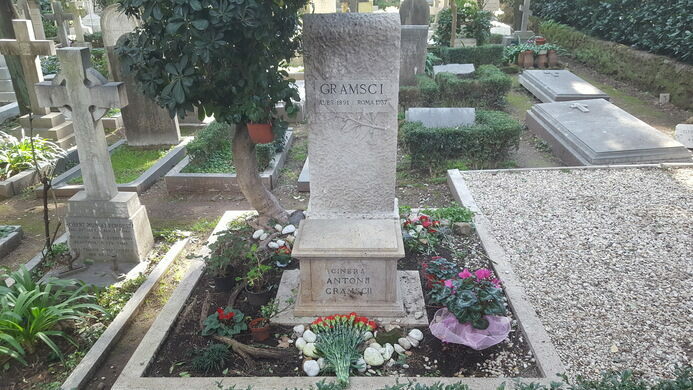 The modern, more crowded section accommodates thousands of graves of famous and less-famous people, among whom Communist leader Antonio Gramsci, writer Carlo Emilio Gadda, physicist Bruno Pontecorvo. 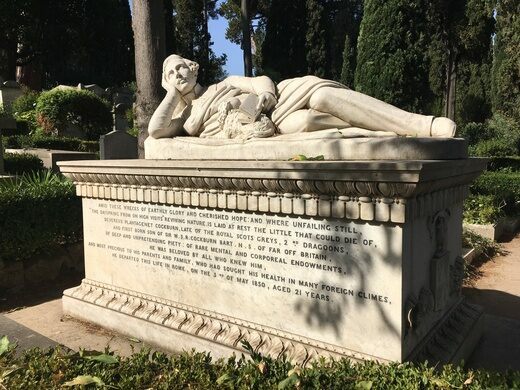 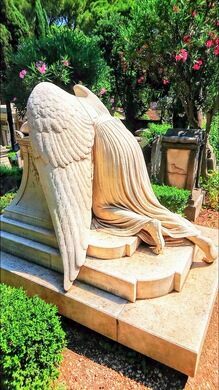 The cemetery is one of the oldest burial grounds in continuous use in Europe (the earliest burial dates back to 1738) and is packed with history and beautiful monuments. 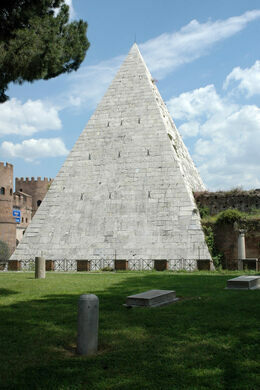 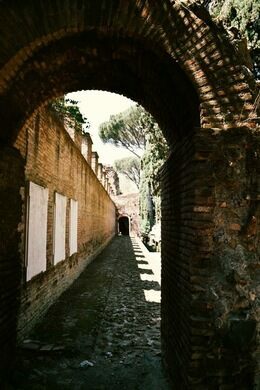 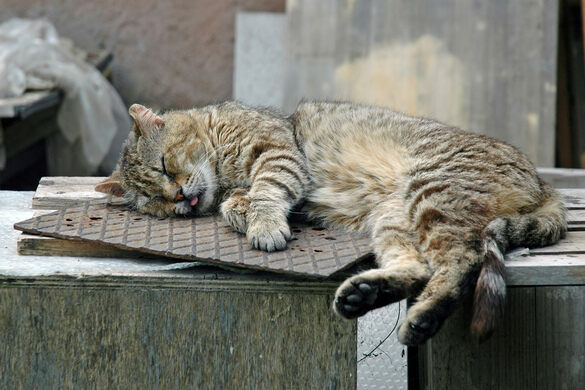 It is also, along with the enclosure of the nearby pyramid, home to one of Rome’s famous semi-feral cat colonies, tended by volunteers. 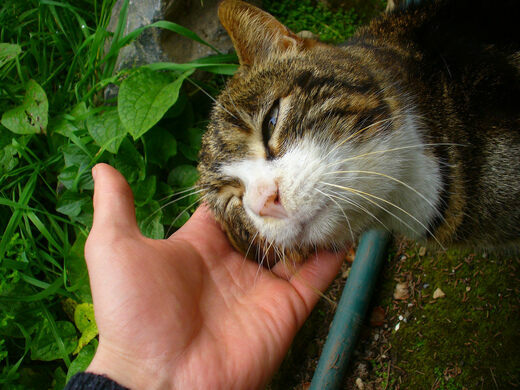 Another Roman cat sanctuary is located at Torre Argentina.